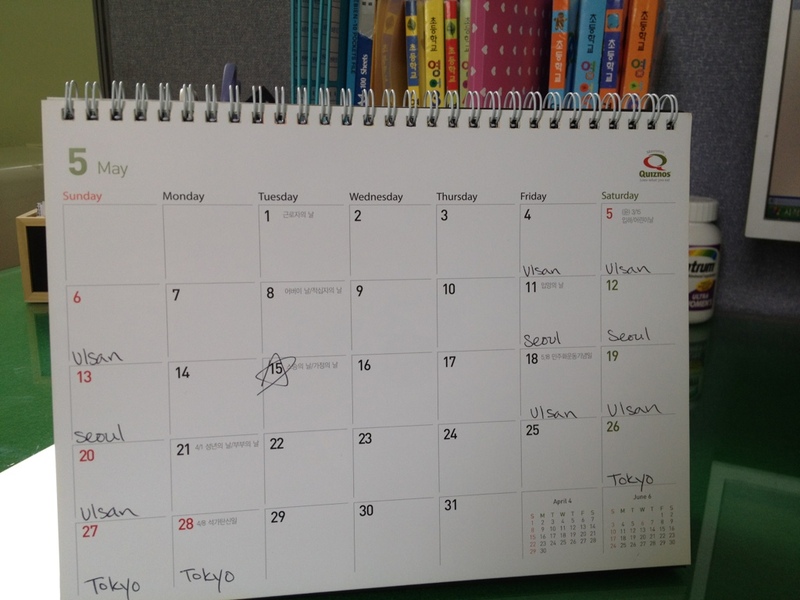 May just may be my busiest month in Korea yet. Dave’s parents are visiting from Australia so I’m heading up to Ulsan. Next weekend we are all going to Seoul. My birthday is on the 15th so Dave has graciously offered to have some friends over. And finally, the following weekend is a long weekend thanks to the Korean celebration of Buddha’s birthday so Dave and I are going to Tokyo.